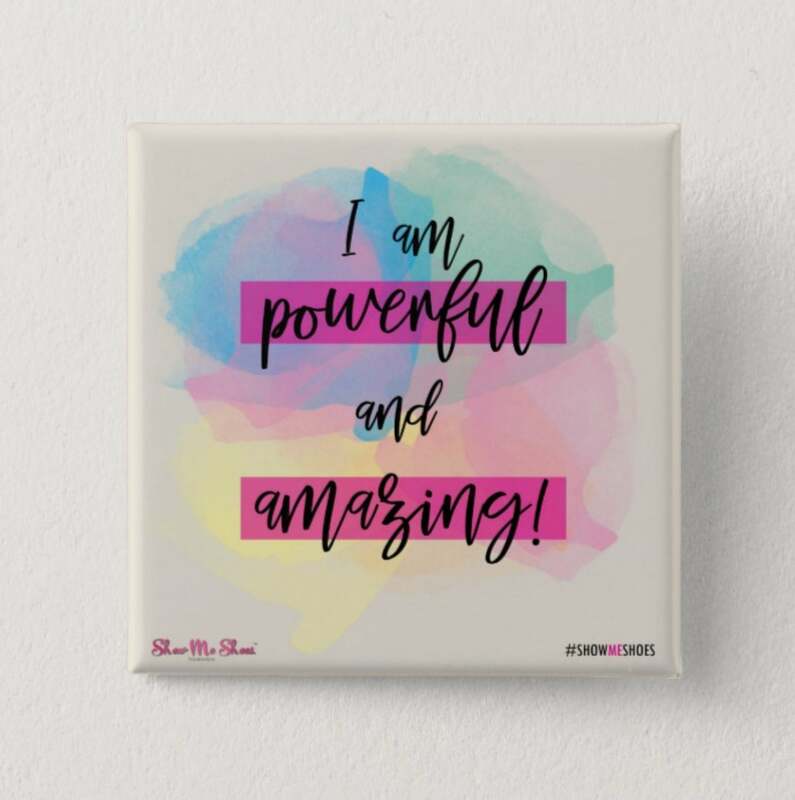 Affirmations from the Sole - I am powerful and amazing! Wear your confidence and daily affirmations! Show Me Shoes Foundations believes daily affirmations are important to help you "Build Confidence from the Sole." These buttons are gentle reminders to love yourself! Buy one for yourself or a young girl as a daily reminder. 100% of proceeds benefit Show Me Shoes Foundation. Buttons are Square, 2 Inches and covered with scratch and UV-resistant Mylar for longer wear!